Looking for a chic, classic window fashion option that provides superb light control and outstanding privacy? 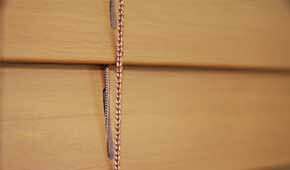 Venetian blinds are a great choice. At The Blinds Place, we regularly design and install aluminium, PVC and timber venetian blinds for Melbourne, Brisbane and Sunshine Coast properties, including both contemporary and traditional-style homes. As the name suggests, venetian blinds originated in early Venice where they were used to control airflow, light and shade before glass became commonplace and affordable, and when nice heavy curtain fabric was a luxury that few people could afford. At that time, they were generally made from whatever local timbers were available, such as oak and pine, timbers which were used extensively in furniture manufacturing in those days. In the mid-1700s, British designers invented the tilting mechanism to allow for more precise light control using cords, and we were one step closer to the wooden venetian blinds we know today. 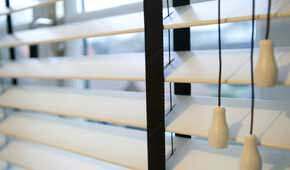 Nowadays, venetian blinds are available in a wide range of timbers, composite materials including PVC, and even light aluminium. There are varying slat sizes for different styles of windows, and a superb range of décor options which include stylish cords and pulls that enable you to customise your new venetian blinds. Brisbane, Sunshine Coast and Melbourne homes, regardless of style, age or colour schemes, will benefit in many ways from venetians, from enhanced aesthetics to greater control over light, airflow and privacy. With venetian blinds, there’s no need to decide whether to have them up or down — you can have partial light across the whole window space, unlike rollers and curtains. When they’re fully down, they’re highly effective at keeping rooms dark and cool, although light may get in along the edge, unlike true blockouts. For airflow throughout the home and greater energy-efficiency which results in lower energy bills, venetians could be setup on different angles throughout the day. An open window covered by an insect screen allow cool breezes without letting in insects and debris. We offer custom design, manufacturing and installation services throughout the Sunshine Coast, Brisbane and Melbourne, with ready-made venetian designs also available. To learn more about our venetians, explore the pages above or contact your closest location to arrange a time for an in-home consultation. We have showrooms in Maroochydore and Moorabbin where you can see for yourself the quality and sophistication of our window furnishings.